India has one of the largest higher education systems in the world with almost 650 universities and 46000 colleges and academic institutions as per All India Survey on Higher Education. Total higher education enrollment today would be north of 30 million and on an average, 5 million graduate every year. With regard to engineering, sciences and humanities, there have been serious concerns about the employability of our graduates. There are alarming statistics brought out by some reports such as National Association of Service and Software Companies (NASSCOM), which estimates that, of the 3 million joining the IT workforce, only 25 percent of engineering graduates are employable. The figures are grave in the context of graduates from sciences and humanities, which is less than 15 percent. Aspiring Minds has been administering a computer-based test called AMCAT to measure employability of technical graduates. This considers parameters like Business Communication & English, Logical & Quantitative skills, analytical & problem-solving skills and coding and annually, 1 million take this test. The results are a revelation, 47 percent of graduates cannot be employed in any domain or sector of the knowledge economy. How do we address this disturbing trend? One of the initiatives proposed is to make every UG or PG student in engineering, sciences or humanities compulsorily take membership of a professional body or society in their domain and context. For continuous and effective learning, we talk of KASOCs that every student needs to assimilate and internalize 'K- Knowledge,' 'A – Abilities,' 'A-Attitude,' 'S – Skill,' 'OC – Other Characteristics which refers to Soft Skills. Let us call them Life Skills. Majority of the Knowledge and Skills are usually assimilated through the academic program that the student is engaged in through courses, laboratories, projects, internships etc. For example in my field, i.e. for computer science program, a student gains knowledge of various concepts like Operating Systems, Computer Networking, Systems Software, Software Engineering as also develops skill for writing SQL queries in Oracle or C, C++, Java, Python programming. Professional body and society membership complement the knowledge and skill gained through curriculum by giving access to cutting-edge technologies and trends in the form of scholarly journals, e-books, digital libraries, certification programs and value-added courses. However Attitude, Abilities and Life Skills have to be imbibed at an individual level. The best avenue is the clubs and student branches of the professional societies which bring about opportunities for innovation, projects, group work, leadership and organization thereby enhancing attitude, abilities and life skills, which escalate to better employability. For every branch of engineering, science and humanities, there are many such professional bodies. If you take engineering, there is ACM and CSI for Computer Science/IT; IEEE and IETE for electrical and electronics; ASHRAE and SAE for mechanical; Indian Institute of Chemical Engineers for chemical; Confederation of Indian Industry (CII) Young Indians for business and MBA and so on. Computer Society of India (CSI) is India's first and largest professional body for IT professionals with over 115,000 members all over India and aboard. Formed in 1965, CSI was instrumental in mentoring the Indian IT industry during its formative years as also launching the first training, certification and human resource development programmes in computing in India. CSI represents India in various international bodies like UNESCO, IFIP, SEARCC and ICANN. CSI has set up Special Interest Groups (SIG) to promote activities and research in few focused areas like e-governance, Cyber Security, Green IT and FOSS. Various initiatives for the academic and research community include publishing of world-class computer science journal, CSI Transactions on ICT published by Springer. Another initiative is the National e-governance awards, into its twelfth year, which is presented to government departments at national and state level for IT usage for delivery of services to citizens. For students, some of the activities include knowledge portal, numerous awards for student members & branches, conventions, travel grants, seed money grants for R&D. Institution of Electronics of Telecommunication Engineers (IETE) is India's leading recognized professional society devoted to the advancement of Science and Technology of Electronics, Telecommunication & IT. Founded in 1953, IETE is a National Apex Professional body of Electronics serving more than 1,25,000 members (including Corporate & Student members) through various 64 Centers and 600 student branches in colleges, spread all over India and abroad. Government of India has recognized IETE as a Scientific and Industrial Research Organization (SIRO) and also notified as an educational Institution of national eminence. The objectives of IETE focus on advancing electro-technology. The IETE conducts and sponsors technical meetings, conferences, symposia, and exhibitions all over India, publishes high quality and impact factor technical journals and provides continuing and vocational education as well as career advancement opportunities to its professional members and students. 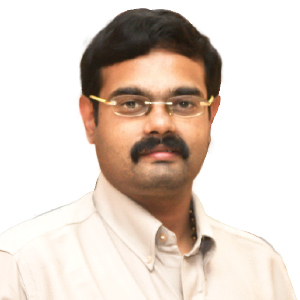 Prof. Prashant R.Nair is presently working as Vice-Chairman of Computer Science & Engineering department at Amrita School of Engineering, Coimbatore campus, the flagship institution of Amrita University. He has taught in academic programs in USA and Europe at University of California, San Diego and Sofia University, Bulgaria as an Erasmus Mundus fellow. He is holding several leadership roles in professional bodies and industry associations.